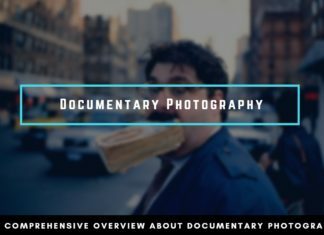 Do You want to share the world around You and Your unique vision with Your friends and family, are You looking for a creative outlet, or want to simply capture some great photographs from Your last travel? 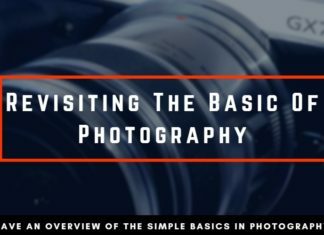 Then here are the photography basics that You need to get started in photography. With the following basics of photography, You will have a great start to avoid a lot of mistakes. Unfortunately, getting into photography can be very difficult. There are so many information out there and You might be overwhelmed by all the possible ways to start photography. In the upcoming article, I hope to take away most of Your insecurities, when it comes to photography and I am providing You with the most important photography basics, to ease the beginning. 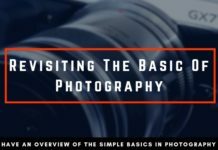 With this guide of the photography basics, You can not only save some time but only money, when You are well informed about the right tools and equipment. 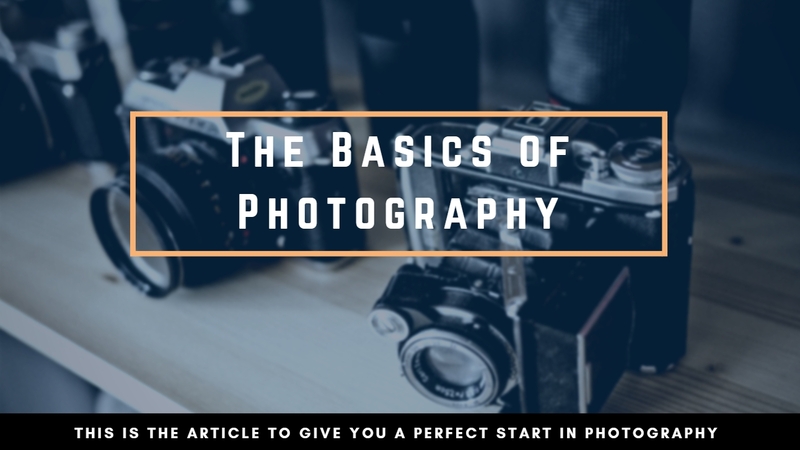 Instead of figuring everything out on Your own, with the following photography basics, You have a good foundation that You can build Your knowledge upon. Having the right tools is important, not only for craftsmen but also for photographers. Although there is often the romantic belief that photography is a very creative hobby and therefore it doesn’t matter which gear You are using, this is only partly true. 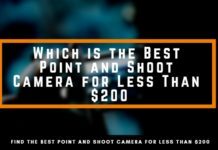 In contrast to the popular opinion, it is not important how expensive Yor camera is. More important is, that the camera is suitable for Your goals and the pictures You are searching for. Additionally, expensive gear won’t automatically make pictures that are more beautiful. Great gear does carry more potential, but it is in the hands and the eyes of the photographer to use this potential. Before buying a camera, the most important question should be about Your personal interests. What are Your hobbies and what will be Your focus be when You are taking pictures with Your camera? 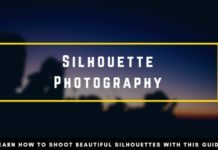 Are You searching for a light travel buddy and just want to take some pictures that are of higher quality than Your Smartphone pictures, but don’t necessarily need a lot of different lenses to always get the perfect picture? Then You certainly need a different setup than some highly specialized sports photographer. Below You can see an overview of different genres and the typical camera that I would recommend for it. 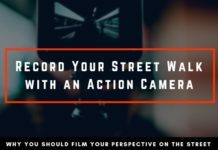 Of course, the money You are willing to invest is also important in finding the right camera. 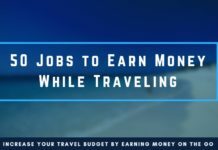 If You are on a budget and don’t want to invest too much, then there are some great options available today. Digital Technology is already so far advanced, that the difference between “beginner cameras” and professional gear isn’t that noticeable anymore. 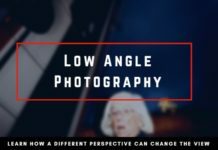 From the viewpoint of raw image quality, the gap is even more closing, especially when it comes to everyday photography. The first camera that I purchased was a Canon Rebel in combination with a Kit lens for around 400€. It was a nice upgrade to the point and shoot cameras that I knew 10 years ago. Today we are at a level where even a camera for a few hundred $$$ can get You pictures, that can be put into a gallery and won’t look insufficient. 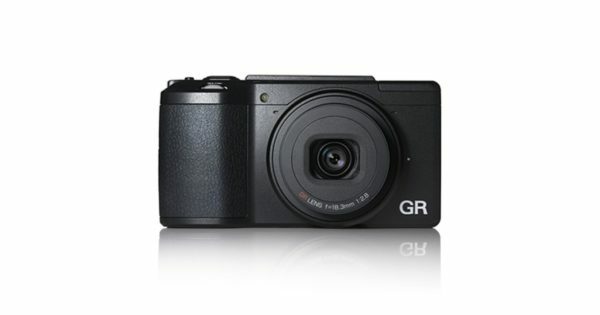 For Street Photography, one of the best options is the RicohGR, which You can get for around $500. Of course, You can also invest in a Leica that can easily cost $5,000. The difference isn’t necessarily in the image quality. Although there is, of course, a slight difference in quality, it isn’t very noticeable. The main differences lie in additional features, the handling and built quality. Of course, You pay also a premium for the brand that is Leica. In general, there are two different kinds of camera types. 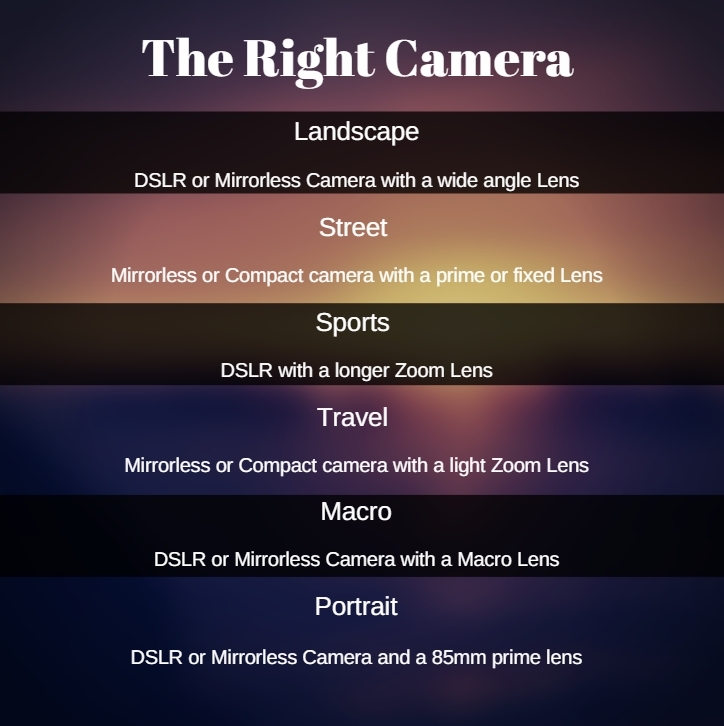 The DSLR and Mirrorless cameras. DSLRs are the more “classic” variant that is pretty much built like their counterparts before the digital technology. 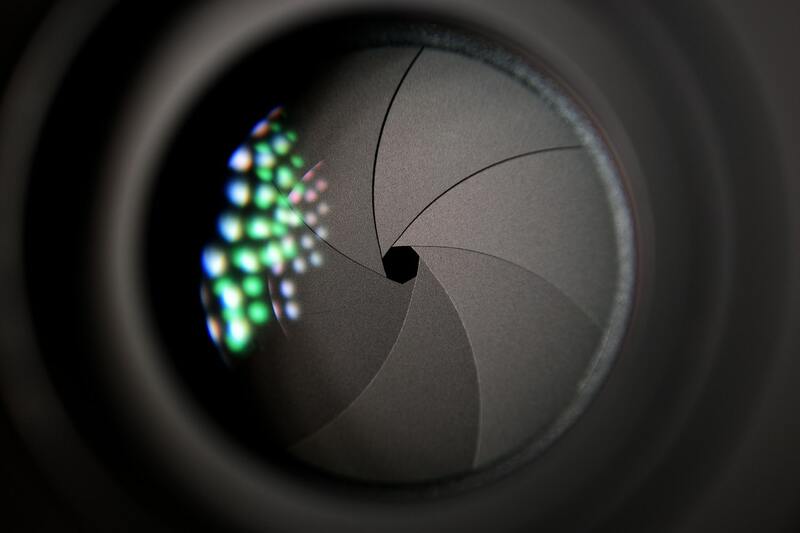 In recent years, there are new camera types becoming more popular and advanced in technology. The main difference is that mirrorless cameras have an electronic viewfinder, while DSLRs have an optical viewfinder. 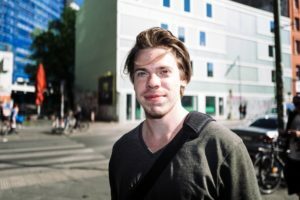 If You are researching Yourself if You should buy a mirrorless camera, You might read a lot of opinions that are complaining about the EVF. While they had a valid point many years ago, the EVF has advanced a lot. Today, if You ask me which camera type You should buy, I would always recommend You to buy the mirrorless cameras. From my point of view, DSLRs are the older technology, that doesn’t have much of a future. 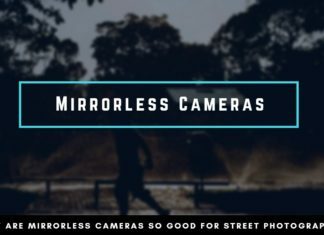 Mirrorless cameras might not be perfect either, but today, their additional features make them supreme compared to DSLRs. 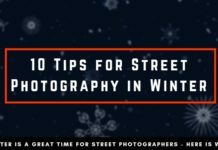 Especially if You are learning photography from the ground-up, mirrorless cameras are a lot easier to handle and You are able to see the effects of different settings in real-time. An easy option and the best price-performance decision are compact cameras. 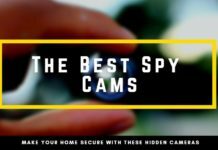 Those small cameras are a real powerhouse today and depending on the model, they can also offer a lot of the basic options that high-quality cameras have. Don’t let Yourself fool from their small size. Size doesn’t matter when it comes to the strength and quality of the cameras and they are being reduced in size gradually. Compact cameras are an easy solution as the first camera You can buy. In fact, after I got my first DSLR, I switched to a “premium” compact camera with the RicohGR, because it was more suitable for my Street Photography and the pictures that I wanted to create. 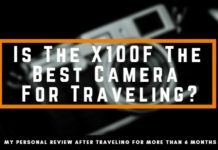 If You are unsure about the direction You will be heading in the near future with, regarding Your style, then buying a compact camera that doesn’t cost more than $300 is a great entry to the photography world. 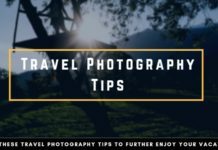 Later, You can always invest more heavily in gear, while the compact camera will still be useful for travels, or other trips. 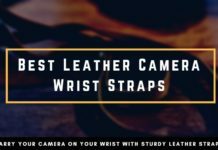 At first, the camera might seem like some high tech device with a lot of buttons and its appearance might be quite overwhelming. 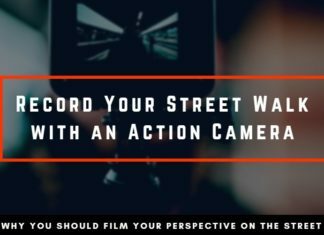 But You shouldn’t be afraid to learn its functions and how to control the camera. For the start, we only very few buttons and even when You are more advanced, You will learn which settings work the best for You. Even then, it is not necessary to learn all the functions and use every button for every picture. Mostly, they are there for some features and tweaks that You won’t need. I remember the first time when I went out with my newly purchased DSLR and I had no idea how it would work. Focusing was something that I heard of but didn’t found to be important enough to think about it before going out with the camera for the first time. Needless to say, that most of the pictures were not usable. To preserve You from this mistake, You should know that You have to press the shutter button halfway through and then stop for a brief moment until the auto-focus has settled. There are different auto-focusing methods and there isn’t one that is far superior over the others. It depends on the area of application and Your own experience. Then You will figure out which auto-focusing method works the best for You. For the auto-focusing to work properly, You should avoid taking pictures in the dark for now. 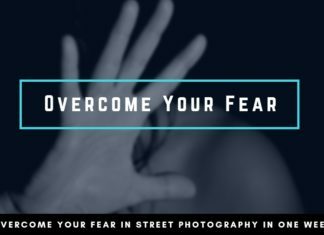 Photographing at night poses a higher challenge and the focusing is only one obstacle You have to overcome. In the darkness, the auto-focus won’t work. You might notice that the camera is emitting some red light in darker areas to try and make the auto-focus work, but more often than not, it is just too inaccurate to really enjoy this kind of photography in the beginning. Of course, You can also focus manually, but I wouldn’t recommend this method unless You are using some vintage lenses that don’t have an auto motor focus, or the lens is not compatible to Your camera. When focusing manually, I would always recommend going with mirrorless cameras, as they can include some focusing support in the electronic viewfinder. Next to the shutter button, there is often another wheel that looks similar to the one above. Depending on the manufacturer, the abbreviations and symbols look a bit different, but the basic functions are the same. On a camera, the basic settings that You can influence are the aperture, shutter speed & ISO. With the different camera modes that You choose on the wheel, the camera might already give You some pre-defined settings or automate things for You. The manual mode lets You choose the settings completely on Your own. 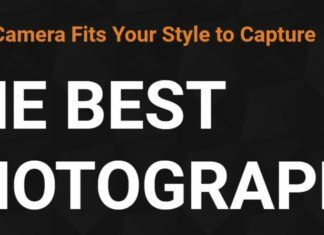 You are able to set the aperture, shutter speed, and ISO the way You want it. The camera doesn’t provide any assistance and thus, You are responsible for every mistake. I would recommend using the manual mode in the beginning, as it is the most efficient way to learn how different settings affect the outcome of the picture. On the other hand, if You have an important event coming up and absolutely want to deliver some good pictures, go ahead and decide on one of the automatic modes. In the beginning, the manual mode won’t yield great results and a lot of Your pictures will be blurred, out-of-focus, or not exposed well. 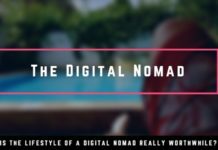 Therefore You will learn very quickly how to create pictures that truly represent Your idea and while doing so, You don’t have to rely on the camera to miracle choose the best settings for You. 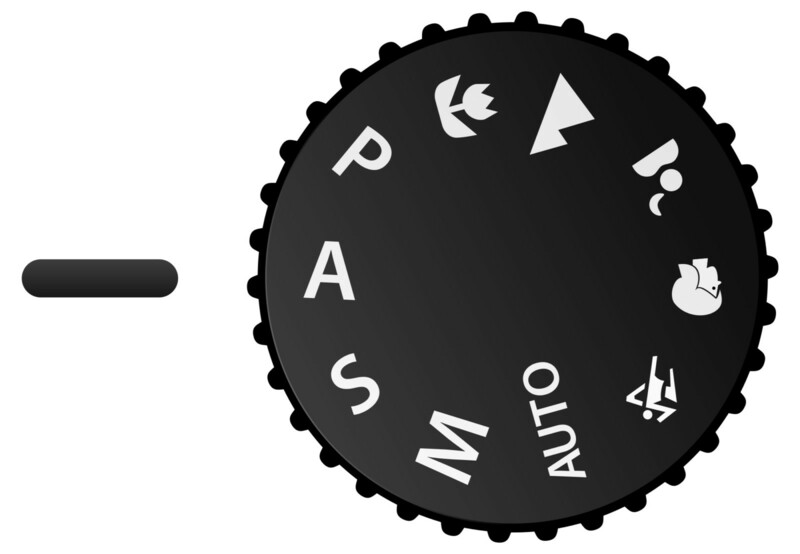 As mentioned before, the basic settings on a camera that influence the image are the aperture, shutter speed, and ISO. With the shutter priority mode, You can select a certain shutter speed and the camera will determine the remaining factors – the aperture and ISO. The shutter speed is one of the automatic modes, where the exposure is controlled by the camera rather than by Yourself. You should choose the shutter priority mode when You need a specific shutter speed, for example when You need a longer shutter speed to create some long exposure of water, or for the other extreme when You need a very fast shutter speed to freeze quick movement. 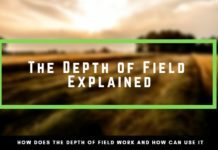 The aperture does not only influence the exposure, but also the depth of field. The more open the camera lens is, the more narrow the depth of field will be. To sum it up, higher apertures like f/1.2 or f/1.4 will create a more blurry background than f/8. Do You want to take a portrait and aren’t happy with the background and therefore want to blur it out? Then the aperture priority mode can be helpful. Set the aperture to the maximum and the camera will define the two remaining factors to expose the picture well. In the Modi presented before, You always had some control and could define at least one settings on Your own. The program mode now leaves the full control over the camera settings to the camera. The camera decides for itself which aperture, shutter speed, and ISO are appropriate for the given environment You are in. The P-Mode should be used when You don’t need a specific setting for the aperture or shutter speed, or when You are battling with constant changes of the light settings. For example when You are in the woods or the sun, in general, is just very erratic. In addition to the automatic modes, You can also see symbols of a flower, a landscape or a head on the wheel. Those are feature modes that are for specific subjects. The flower, for instance, represents the macro mode, while the head is a symbol of the portrait mode. I would forget about these modes just all together. They aren’t helpful at all and You are able to get the pictures You want much easier by using the modes that I presented before. If You are just starting in photography, the menus aren’t very intuitive and self-explanatory. By now, You should already know that the settings of aperture, shutter speed, and ISO are Your most concern. How they exactly influence the picture, I will describe in the paragraph about the exposure. 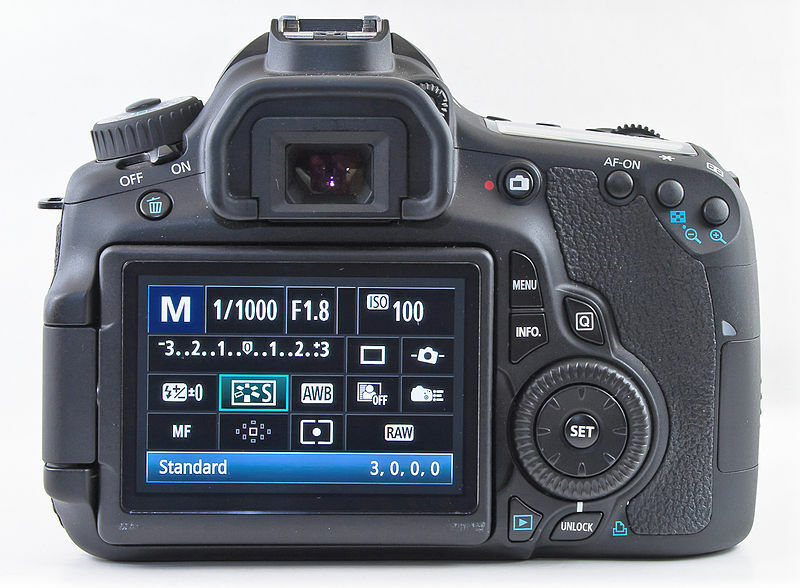 For now, I want to give a brief overview of the camera menus and how You actually can change these settings, using a Canon, Nikon, or Fuji camera. To be able to influence these settings, You also have to set the camera to the manual mode (M). The menu on a Canon camera will look similar to the one above. On the top row, You can already see the most important features when it comes to the exposure and look of the picture. If You followed my advice, the M shows that the camera is in the manual mode. In case You have any of the priority modes, for example, the aperture mode chosen, You won’t be able to change it. Next to the Camera Mode indicator is the shutter speed. Under normal conditions, it is represented as a fraction of a second. A shutter speed of 1/1000s is quite fast and most of the time I am confident using a shutter speed between 1/100s to 1/400s. Nearby is the aperture. The maximum aperture depends on the lens You are using. If You are using a kit lens, the aperture of f/1.8 might not be possible and You see something along the lines of f/3.5 to f/5.6. On the far right side is the ISO. The lowest ISO You can choose is the ISO 100, which is also the best quality setting. The higher the ISO will be set, the brighter the picture will be, but the more grainy the photographs will look like. The next important parts of the menu is the White balance indicator. Which is set to Auto-White-Balance which is good and can be adjusted in post-processing anyway. The MF shows that You are focusing manually. For the auto-focus modes, the indicator to the right shows which focus points are active and next to it is the metering mode. RAW indicates which file format You are using. The RAW-format is great because it leaves a lot of options to edit it in Lightroom or Photoshop afterward. On the other hand, they create very large files and can not be printed or viewed directly. So if You are not planning to use an additional program like Lightroom, You should use the JPEG format, which directly creates “readable” pictures. For us photographers, there are two technical details when it comes to creating a good photograph. First, the focus should be where You desire it to be. 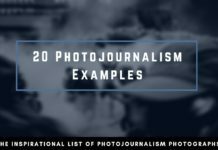 If the subject is blurred out, although You rather wanted it in-focus then You made a technical mistake and should learn how to focus better with Your camera. The other technical point is the exposure. Photographs that are too dark, or bright seldom look good. Especially with digital sensors, the danger is, that parts of Your pictures are too bright and “burned out”. 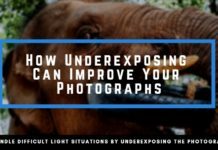 The RAW format does leave a lot of potentials to change the exposure afterward and in Lightroom, You can increase the brightness up to a point, where complete dark pictures become well exposed. 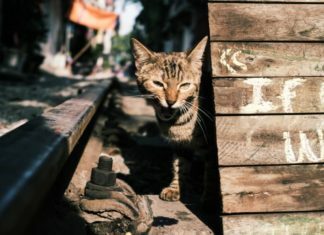 Having “Burned out” – places in Your picture means now that there aren’t any readable information and You can not recover the image during the post-processing. This can happen when You are photographing against the sun, or in very bright conditions and the automatic mode of the camera doesn’t adjust the settings accordingly. 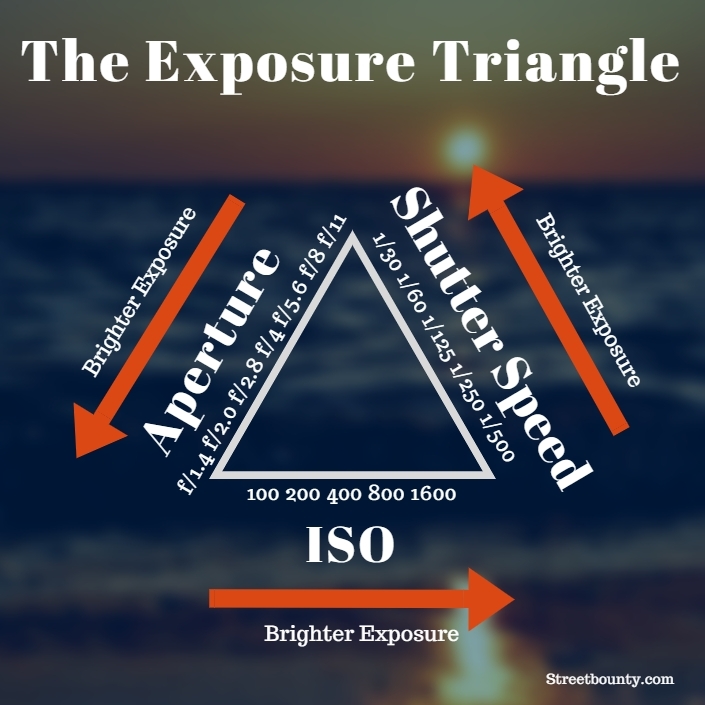 To understand the concept of exposure more easily, the exposure is often visualized as an exposure triangle. Each of the factors: aperture, shutter speed & ISO influence the exposure and the outcome of the picture. Each of the components does not only influence the exposure, but also other visual aspects of the photograph. The aperture describes the entry point of the lens and the front opening. By increasing the aperture and opening up the entryway, more light can enter the lens and the picture will be brighter. The aperture is non-linear and at first glance not that easy to understand. For example, the f-stop of f/4.0 let’s double the amount of light enter compared to f/5.6. Important to know is also that the aperture does not only limit how much light can enter, but also how blurred the background will be. The more open the lens, the shallower is the depth of field and the more blurred will the background be. Apart from a change of the visual characteristics, with a more shallow depth of field, it becomes increasingly difficult to focus, as You need to be more precise. In the beginning, settings around f/8 are a great starting point to learn photography, since the depth of field is not particularly narrow and does allow some leeway while focusing. The shutter speed determines how long the shutter stays open to expose the sensor to the light. 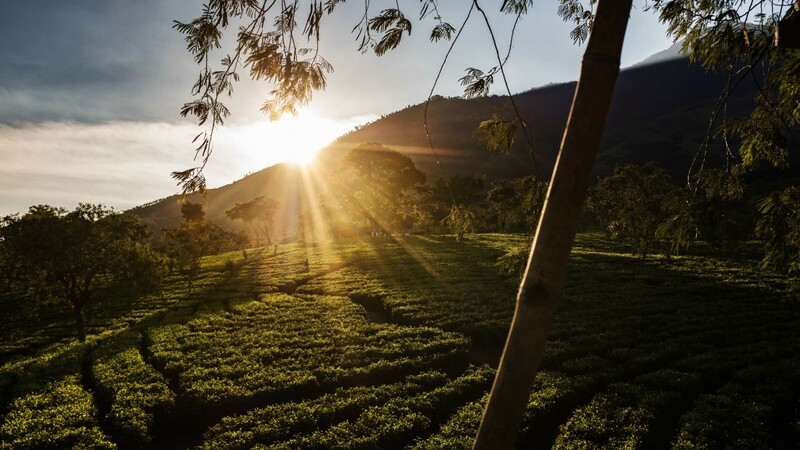 The longer shutter is opened, the more light can enter and the brighter the picture will be. 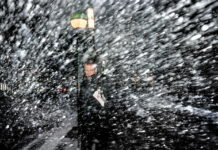 A longer shutter speed does also bear the risk that the picture will be blurry. When You are shooting without a tripod, the shutter speed shouldn’t be below the reciprocal of the focal length. So if You are photographing with a 50mm lens, it is best advised not to set the shutter speed below 1/50s. 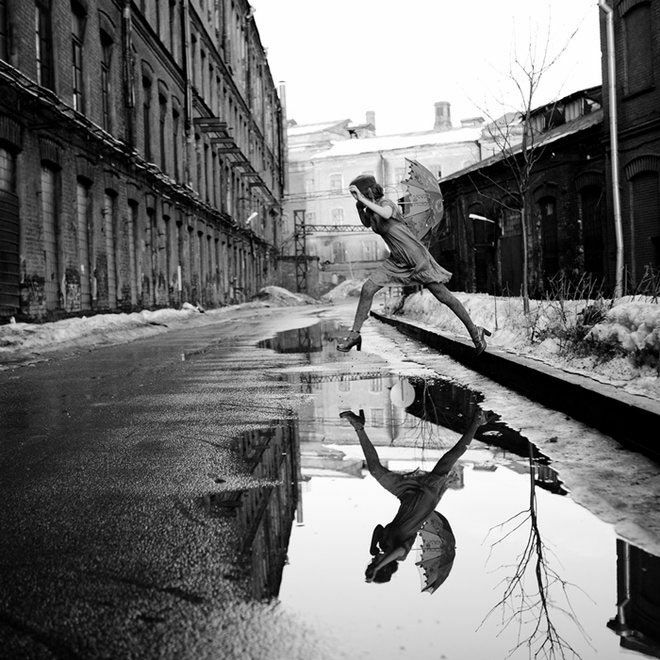 You can also use the shutter speed for some creative work. In combination with a tripod and a shutter speed of more than a second, You can create long exposures. There are a lot of examples of traffic in the city, or flowing water. 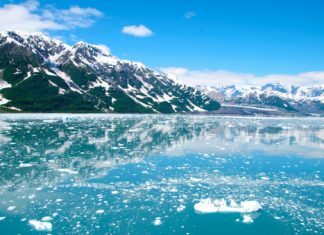 In contrast to the long exposure, You can also use extremely fast shutter speeds to freeze the time in more extreme ways and discover details that are hidden to our normal vision. Often, water drops are used to visualize these fast shutter speeds or extremely fast-moving animals like a humming-bird. In the digital sensor, the ISO can be understood as an electronic multiplier of the light that hits the sensor. The higher the ISO is, the more “sensitive” is the sensor and the brighter the photograph will be. In return, the sensor will produce more mistakes which are commonly referred to as noise. For the best possible quality, try to keep the ISO at 100 and only increase the ISO when the other options are already depleted. Having the right exposure and getting the photographs in-focus is only the foundation to a good picture, but to really create outstanding photographs, You should learn the basics of composition. The composition is like a secret formula that makes pictures more aesthetically pleasing. It is not something that some crazy photographers or artists have invented, but rather it is based on the natural viewing experience. Following are some basic rules and what You can do to create better photographs Yourself. 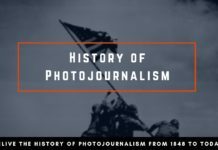 In the beginning, You might look at Your pictures and compare them to all the other great pictures that are floating around the Internet or that You have seen in photography books from the masters that You admire. Pretty quickly You will notice that there is quite a difference in the aesthetics and that Your pictures might lack the little something that makes them really interesting. The first conclusion that a lot of people draw is that their gear is inferior. This conclusion is pretty poor and more of an excuse than a correct finding. The gear doesn’t create the difference in the picture, it is the quality of the photographer. Taking pictures is pretty easy. There are the automatic modes that can assist You and pressing the shutter button is not the most difficult thing in the world. Yet, there are photographers out there, that can produce quality pictures regularly that are more engaging than others. If You see pictures that draw Your attention and that You think are pretty good, ask Yourself why they are so much better than others. 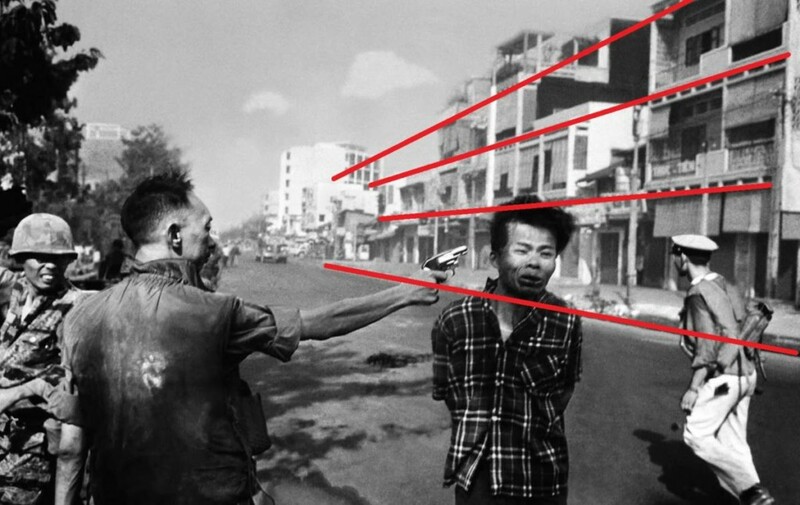 Try to analyze how the picture is structured, how the story was created and then try to implement this in Your photography. One of the most basic compositional rules is the rule of thirds. You might have already heard of the “golden ratio” if You are interested in painting or other classical arts and this ratio also translates into photography. The rule of thirds is a little simplified version of the golden ratio. It divides the photography into thirds on the horizontal and vertical orientation. 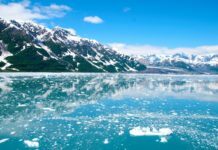 If You want to create more compelling images, placing the subject on one of the intersections of the rule of thirds will tremendously improve their visual quality. To help You out with the rule of thirds, You can create a grid and implement it as an overlay for the EVF if You are using a mirrorless camera. As photographers, we try to tell a story in a single picture. The photograph doesn’t have a beginning or ending, unlike a movie. Thus, it is a lot harder for the viewer to understand who the main characters are and what is the focus of the picture. With leading lines, You can guide the viewer to the most important subject and put some emphasis on them. Although a photograph lacks a timeline, You can still create some sort of direction by guiding the viewer through the composition. Leading lines can be very difficult to integrate when You are doing candid photography like Street Photography or Documentary Photography. In these genres, You have to act quickly and don’t have the chance to move the subjects at Your will. If You are more into portrait photography with models, leading lines can be one of the first compositional elements to have an eye on. Great opportunities to create pleasing leading lines can be roads, tunnels or rail tracks (when they are out of order for Your own safety). 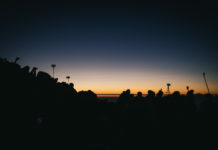 The first thing we notice in a photograph is the foreground and the subject, which is often placed in the fore or middle ground. When we are taking the picture, we often don’t put much emphasis on the background as it doesn’t seem that important to us. After years of experience in photography, I want to tell You that the background is often times the most crucial aspect when analyzing the difference between a good and an amazing picture. Of course, You need an interesting subject and the foreground shouldn’t be too distracting. These are receipts for a good picture. If You want to improve the photograph, then the background is definitely the factor that can make or break the quality. The background shouldn’t be too distracting from the subject and put even more emphasis on the main subject. 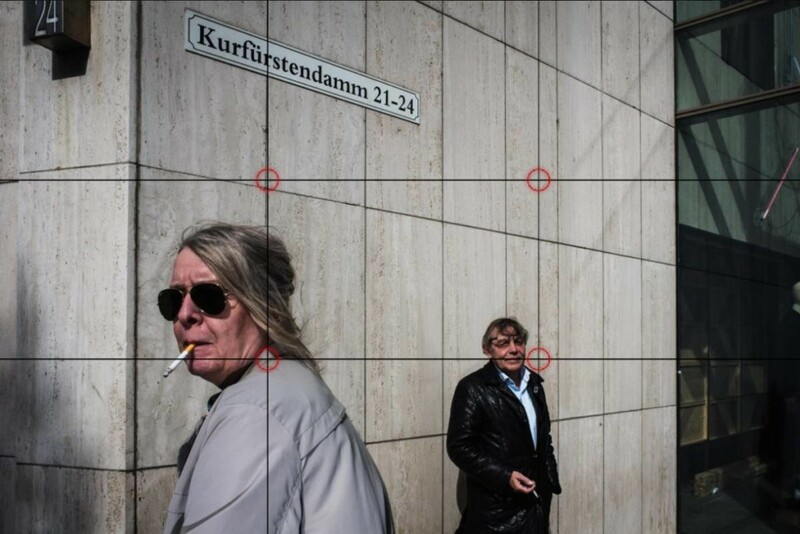 For example, by employing leading lines in the background, You are able to guide the viewer. Don’t make the mistake and believe that blurring out the background with an open aperture will help much. A distracting background will stay sub-optimal, blurred or not. Rather search for other angles if You can not move, or if You have the chance go for a different place altogether. Taking a good photograph inside the camera is only the basis of a high-quality image nowadays. If You look at pictures today, they have all been processed in Lightroom or Photoshop. Although You might not believe it, just changing some basic characteristics like the contrast can have a great influence on the final result. Therefore I recommend to edit every picture and being knowledgeable in Lightroom is a component of the photography basics. I like to edit every picture of mine and believe that it does make a huge difference. Nonetheless, that doesn’t mean that I am spending hours to no end on editing a single picture. Rather than trying to alter the image completely, simple tweaks can already have a great effect. Therefore, I try to work under the motto of keeping it stupid simple. It doesn’t have to be the fanciest technique in Photoshop, for most of the work out there, the functions of Lightroom are already more than enough. A typical processing of a picture looks like this. Exposure – At first I want to adjust the exposure to my desired level. Often times, I underexpose images by one or two stops because I want to prevent any blown out highlights. White Balance – When I am happy with the exposure, I adjust the white balance, which affects the overall “mood” and tone of the photograph. The automatic white balance in Lightroom is a good basis and from there it is up to You which style You prefer. 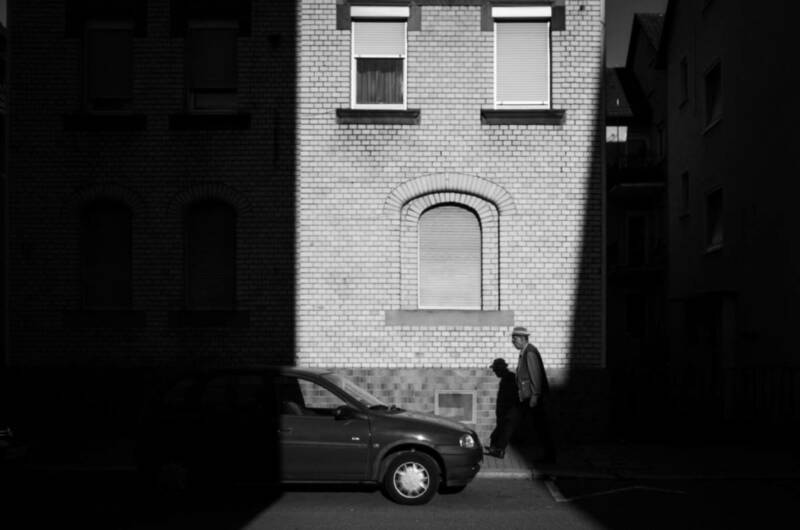 Crop – I try to get the frame already as close as possible while photographing on the street, but often there are little details on the edges of the frame that I would rather keep out of the image and a little cropping can help to come closer to Your desired photograph. Contrast – Most of the time, I like to increase the contrast in my images. To compensate for the added saturation, I then reduce the vibrance setting. Clarity – With the clarity, You can increase the contrast in the mid-tones, which does improve the image even further in my opinion. Don’t overdo it with the clarity slider though, or You will get pictures that look like failed HDR experiments. Are You searching for easy solutions in the form of filters for Your post-processing routine? Then You should take a look at the Nik Silver Collection and its filter presets. 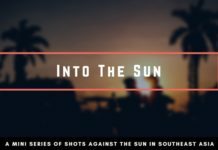 I am a huge fan of this collection because (at the moment) it is available 30 days for free and it does include the best presets for film simulations by far. With this collection, You are able to simulate black & white film, as well as color film. The grain in these simulations does look very much like real film and is not comparable to the grain that You can add in the basic Lightroom settings. 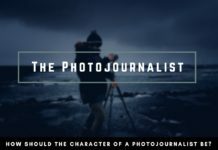 The goal of this article was to give You an easy start in Your photography journey. I know it can be a very joyful hobby, but at times also be frustrating. You will do mistakes, You won’t get the image that You so desperately are looking for and sometimes You just want to throw away all Your gear. Those are normal emotions and being creative is not always easy. Every photographer knows these drawbacks, but in the long run, You shouldn’t feel demotivated and learn how to inspire Yourself again. 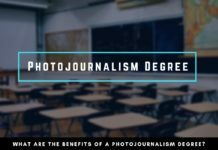 The things You learned in this article are only the beginning and to become a good photographer, it can take years or even decades, while others that are not actively working on improving, will always be limited in their abilities. 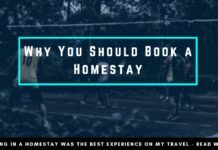 If You want to enjoy this hobby and see better results over time, rather than spending more money on gear and equipment, explore different places and travel. 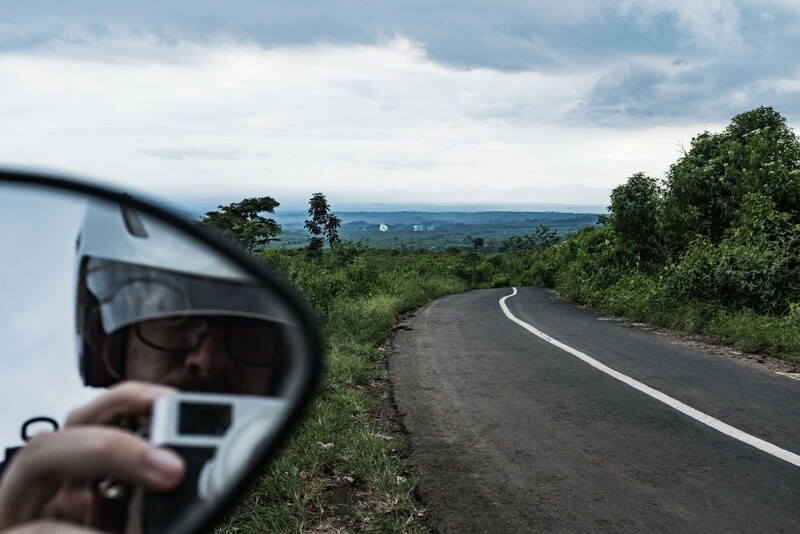 Traveling is one of the greatest sources of inspiration and is worth more than any new camera. 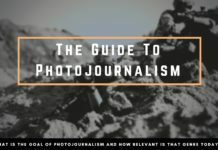 In addition to traveling, try to get Your hands on good photography books and look at these images, rather than using Instagram or other social media “fast-food”. Consuming high-quality photographs will help You quickly to discover the hints and secrets behind the best photographs. Enjoy photography and share Your vision of Your world with Your friends & family!